No matter what industry you’re in, the pressure to protect and manage your customers’ data mounts every day. From HIPAA and PCI DSS all the way up to GDPR, regulations that put a spotlight on compliance keep multiplying. 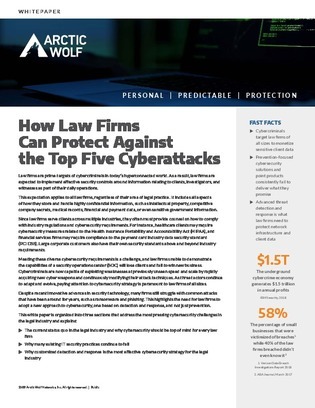 This white paper explores how law firms, as highly regulated businesses and prime targets for cybercriminals, can meet the challenge of increasingly strict security requirements head-on.